What a great block, so honk honk to you! DH and I live in a log cabin on a lake near Yellowstone National Park, so inspiration is all around us. I designed a row-by-row flannel quilt for him to use in our camper. Cabins, flying geese, pinwheels (for our winds! ), log cabin blocks, and pine trees. The top is done, just waiting to piece the Minky for the backing. Always love the release of new QM 100 Volumes! Great block--I love all those geese! My current inspiration is the beautiful colors of fall. Great block! Congratulations on getting it in the magazine. I get my inspiration from the beautiful colors around me. Debbie that block is a real beauty! What a super inspiration it is to me to make something! Just about everything inspires me to make a quilt but one thing that's been on my project list for a long time is the floor in the lobby of the Paris opera house. It's mosaic tiles with many different flower motifs. Such a beautiful block! I love the four block table topper. As far as inspiration for a quilt, last year I made a quilt for my granddaughter's kindergarten teacher who was retiring after 30 years. She introduced my granddaughter to science and being a former science teacher myself, she earned my gratitude and respect. One kindergarten project last year was raising painted lady butterflies and releasing them. My granddaughter was thrilled. I happened to have all the makings of a butterfly quilt all cut out and ready to piece. The quilt turned out beautifully and I even had enough leftover blocks to make a smaller version for my granddaughter. Fun block--love the table topper idea! I am finishing up a wall hanging that was inspired by a Laurel Burch panel--I really wanted to showcase just one of the pictures in the panel. Honk Honk. I'm sure there's an emoji for that, but I'm not great at emojis. I'm usually inspired by fabric and then wait until it says to me this, "this is what I want to be" also designs such as this one makes it easy to sort through the stash and ask them....Would you like to be in this? Thanks for the blog. It is a beautiful block! I love the layout possibilities! Remember, I am in the blog tour, too, so skip me for the giveaway! Honk, you got a really big HONK Puzzled Geese is a great and fantastic block.It looks very nice this striking Block. Nice to read the story about the flying Geese . Color and fabric inspires me and I like to think about the person I'm making the quilt for. Thank you for sharing your block. I love scrappy quilts. 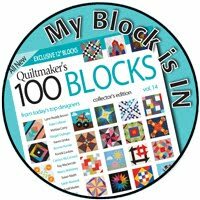 I prefer clasic block for my quilts. I love your block. I made a small pieced maple leaf quilt with appliqué. I was inspired by the amazing colors of the trees in autumn in the Northeast. I live in the mountains and the foliage is truly spectacular? That is a great block! I made a wedding quilt for our son and used some inspiration of their favourite things which i stitched or appliqued onto the quilt! Nice block, I also love to watch the geese during migration. I made a quilted pillow for some friends that got married. If a quilted item is going to be a gift, I usually choose a theme the recipient is into -- i.e., my sister loves pineapples as a sign of hospitality, so I made her a table runner with pineapples on both ends. 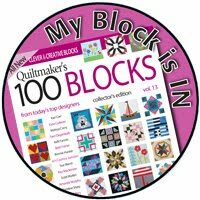 I like your block as it is something I can definitely tackle. 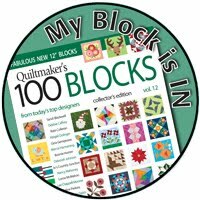 Your block is a great inspiration to me and I like the idea of making a Table Topper; either for Thanksgiving or Christmas. Thank you for being a part of the Road Rally Tour, sharing your ideas with us and wishing you Happy Holidays. My inspiration for a quilt was my cat Shadow. She was made in black and white on a black background. Would never part with this cat quilt. Honk Honk!!! We get a lot of puzzled geese here in Maryland. We live on a small mountain ridge so we get the honkers going one way, confused they come back 10 again having made a U-turn somewhere. This seems to happen when we have just washed the car. I think they are in cahoots. If they missed bombing our car the first time, they come back round just for another "go" at target practice. 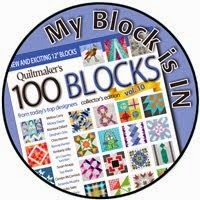 Love your block, big congrats at being a part of Volume 16!!! Love the story of your block. Your block inspires me to make your table topper. My grandma was always quilting and I like to use her chevron quilting designs in some of my quilts. Thanks for giveaway. If I am making a quilt for someone else, it is usually with something they love. In my Dad's case, it was birds. So, I made him a birdhouse quilt and some pieces of fabrics were humorous (e.g. chickens). I am inspired by what I see out my window. Love to add bird motifs to my quilts. Honk!!!! My very favorite block! I was watching my grandson play with his Rubik's Cube a few years back when I had to design a small wallhanging for a challenge. 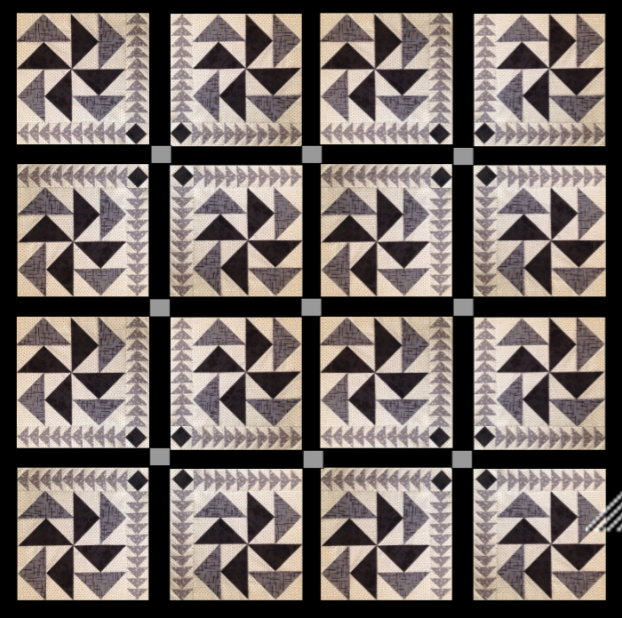 I did many nine patches in different sizes and name it Rubik's Cube!. Thank you for a great block. Great block! I love your table topper. I made a landscape quilt based on our airstrip, airplane, and animals. It was a fun project. Love your block and the table topper! I'm inspired by others quilt designs and like to play with colors. A great block. I loved how it looked in a quilt. I recently made a throw with a big red A for my granddaughter who graduated from the University of Alabama. I used the log cabin block to get the A that is the trademark of the university. The background included the traditional houndstooth check that is associated with the university. The back was a gray fabric with red elephants because the university's mascot is a elephant named Big Al. I love the inspiration for your block. A very nice tribute. I have been ice dyeing and suddenly just had to design and make a quilt using that fabric, and others dyed later that day to match. I have also walked by my dragon display and been inspired to design a dragon quilt, complete with wizard. Inspiration can hit anytime, anywhere. Honk! 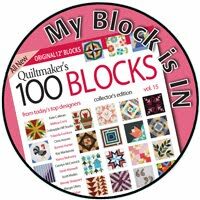 :) This block looks like a quilt made from it would make a bit of a dent in my scrap collection! My Grandkids are a great source of inspiration. They say they want a moose quilt, moose it is! "I like penguins. ", penguin quilt done! Always an idea popping up! Seeing some fabric I like is an inspiration - then I go hunting for a pattern to use it. Sometimes it's the opposite - I see a pattern and then go hunting for fabric. Congratulations on having your block in the latest volume! I love your block and I love to watch the Canadian Geese migrate as well (I live at a lake and they stop in on their way south.) Blog hops like this one are my greatest source of inspiration. Thanks! 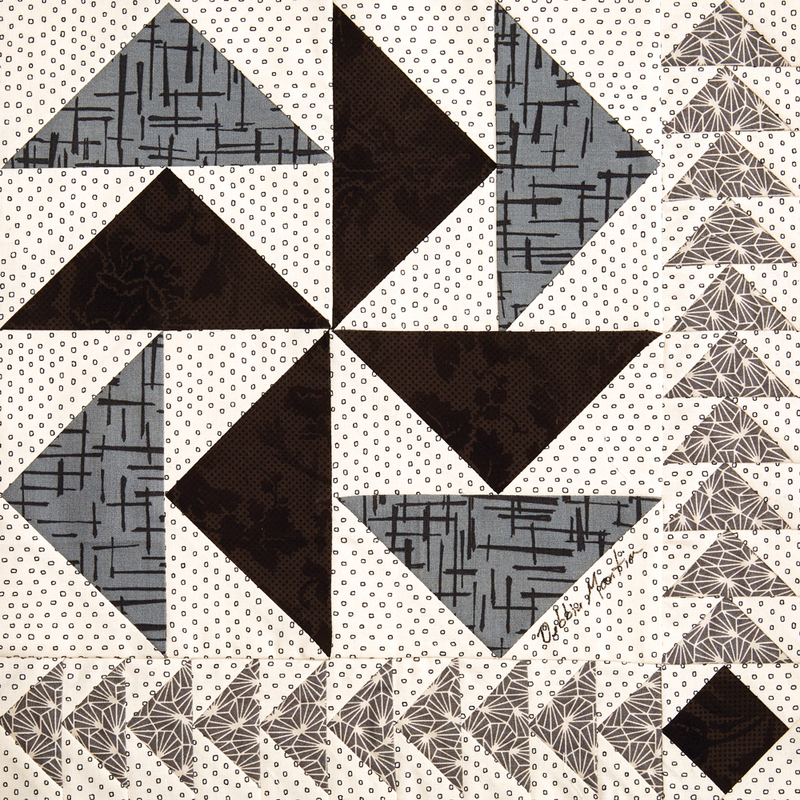 Flying geese are my absolute favorite...in the air and on quilts! :) Love your block. 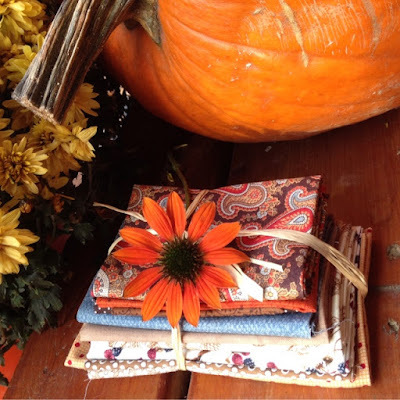 My inspiration is from quilting blogs for sure! Your block is full of geese and looks so different in the table topper layout. I love plenty of color so in my travels to the Caribbean and Mexico I always find inspiration. i have bought different items back from my travels and tried to capture the spirit in my quilting. Years ago I saw a really cute flower design on a paper napkin (of all things!) and used it to make a table runner. The design was so versatile that I made the flowers into daisies on one side and sunflowers on the other so I had a reversible runner. I was thrilled with how it turned out. Everything inspires me, color of fall leaves, wallpaper designs, wood carvings, etc. My most recent inspiration was from my niece. She said that for her new baby, she wanted elephants and mint green on the baby quilt! I have just been making postcards for my guild to sell and so enjoyed it I have made some for myseld to send for Thanksgiving! Love your block! I love your block! Nature inspires me the most. We have been having geese flying over for the past couple of weeks. What a pleasant sound. It always makes me wonder where they are going, where they will land, and if they are having a good time....and there is always that one who is lagging behind...will he make it all the way? 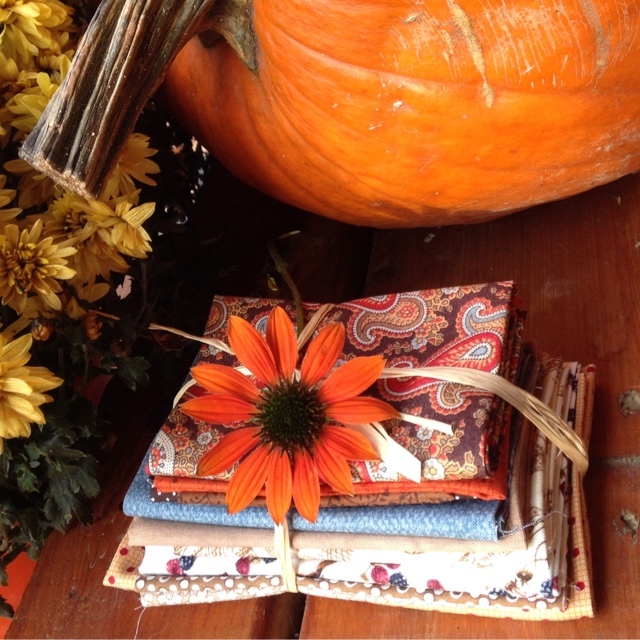 The different seasons always bring inspiration to my quilt as well as thoughts of those who have gone before. Thanks for sharing your delightful block. I'm so impressed with your design skills, and putting yourself into the shoes of a quilter from a long time ago is a great way to get started. I have just finished a quilt that was inspired by an magazine advertisement for L'Oreal Wrinkle Expert, and anti-wrinkle cream! Go figure. Thanks for the chance to win your giveaway! The colors of the leaves changing in the Fall here in Michigan are an inspiration for me. Beautiful block. My grandson inspired me to make a quilt for him. He always look up in the sky when he hears airplanes so I made him a quilt with airplane fabric. Did you hear me honk? 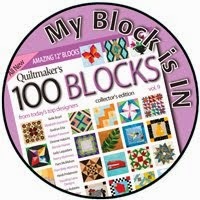 Flying Geese is one of my 2 favorite blocks! Of course I love your block! My last name is Bird, so when my son's first child was born (my first grandchild) I made her a quilt with assorted bird blocks, including a reproduction of their birth announcement. My friend loves tulips so I made her a scrappy tulip quilt for her birthday. 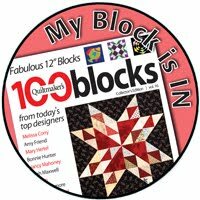 Fun block--I think it could be a great scrappy block too! Thank you for sharing the story of your quilt. That makes it very meaningful. I made a mini quilt designed in the manner of artwork my nephew created when he, his mother, and I went to a children's museum together. Beautiful block! I love those tiny flying geese on the sides! Love your block. 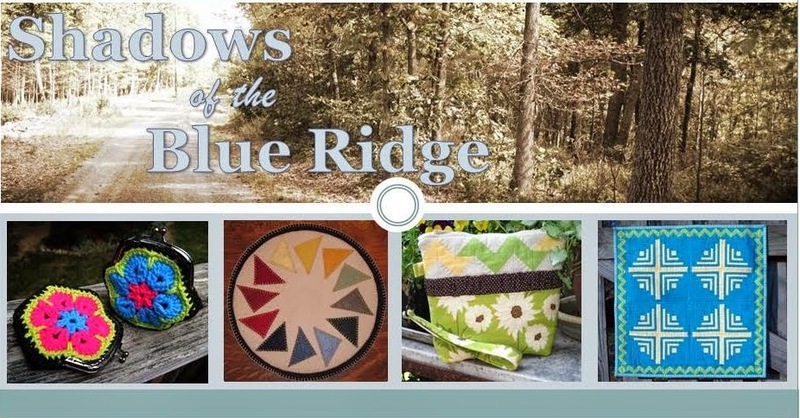 I get inspiration from my 3 sisters who also quilt. We live in 4 different states & keep connected by making joint quilts, exchanging blocks & sharing projects. Thanks. I really like the explanation you gave of the inspiration for this block. I already liked it a lot, but now I like it even more! Thanks for sharing that precious memory with us. 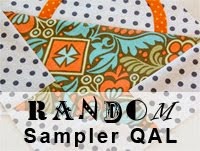 I usually quilt for a purpose, and often it's American Hero Quilts, so I'm usually thinking of colors and patterns for my scraps (and I'd love to have YOUR scraps!). I don't have a story of inspiration, but I do always include a gold/yellow color in every American Hero Quilt that is my own design (I put together a lot of UFO blocks people donate to me, too), and it stands for the loyal hearts of those who serve. Super giveaway with two winners! Thanks for a chance to play. This is really a great block - I love the different layouts! I find inspiration in seeing other quilts and trying to think of ways I would change it to make it truly unique to me. Honk! Flying geese are so versatile. I make quilts for family member's interests. Daughter is getting a horse theme, son has a few CR pieces incorporated, nephew has sea stuff because last name is Sailors. Thank you so much for the giveaways. I am making a wall hanging commemorating the total eclipse this year. A honk for your flying geese puzzle--I do like it! Honk! I love the table topper design! I recent made a medallion quilt (much larger than I originally planned) because I wanted a quilt with a single tree of live block in the middle. I designed the whole thing on the fly (and using lots of grid paper) and love how it turned out. I'm making a monarch butterfly quilt now..the beautiful little creatures are so amazing. I guess I'm inspired by colors and prints in fabrics more than anything else, but I love traditional blocks so the fabrics are what make them personal. I love flying geese, love your block. I made a jungle quilt inspired by paper goods for a child's party. Great block. I have lots of different inspirations for quilts. It depends on the reason I'm making it. I can't think of just one example. I love the inspiration behind your block - love those geese! I did a wonky log cabin quilt w/ a bird theme for my mothers who loved birding! Thank you! Flying geese are so versatile. Your block is great. I rarely need to look for inspiration to make a quilt. Someone is always begging me to make them this or that. Currently it is a wall hanging featuring bears for my sister's cabin. Great block. I find that fabric is what inspires me to make a quilt. Honk! Honk! I LOVE this block and the name is perfect. I make most everything from scrappy strips and selvedges, so I look for patterns or items that will look good if I make it very scrappy. Nice variation on traditional-ish block. Quilt inspiration for me sometimes comes from the fabric, as in "I love this fabric, how can I showcase it." Great block! My grandchildren provide inspiration for some of my quilts as do my gardens of flowers. Wonderful block, I love the look of the flying geese. 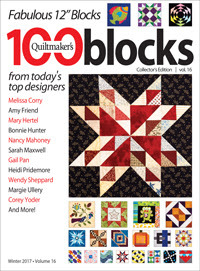 I get a lot of inspiration from my quilting friends. I love following you. 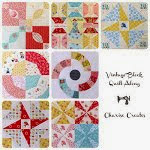 What a great combination to create a new but vintage-style block. My favorite inspiration was one of my earliest in my blogging experience. My husband is a firefighter, and I just couldn't find a design for a Maltese Cross (the firefighter symbol) that he and I liked. And I really wanted to make firefighter-themed quilts. 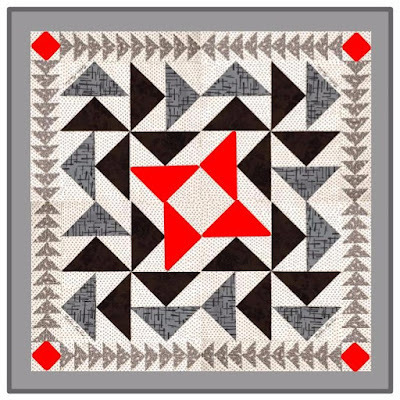 When I was following a blog hop for Dresdens by the Salt Lake Modern Quilt Guild, several years ago, the Maltese Cross finally came to me! I created my own design and created a tutorial on my blog. It was great! The "inspiration" for the Dr Who quilt I'm just finishing was the one Dr Who tee shirt my grandson has outgrown. I wanted a quilt for my husband. So I created a Kiss Me All over quilt using various Blueberry Parkprints. Honk! Honk! Love your Puzzled Geese block. I was inspired by my husband's motorcycle to make a BMW Roundel Quilt wall hanging. Turned out well as I won a blue ribbon at my quilt's quilt show. One of my favorite quilts was inspired by the stained glass windows of my church. I love the jewel tones of all the glass and have spent many hours learning and teaching about the meaning of each of the windows and their symbols. Nice star block... could be a wonderful scrap buster... I do mostly charity quilt projects... the inspiration for the quilt comes from the age of the recipient or the donated fabrics that I've been given. I was inspired to make a quilt from vintage scraps as a wedding gift. The bride and groom loved it! Like that you incorporated scraps into your block. Honk, honk! Nice block. Thanks for the opportunity to win. I was supposed to make her an embroidered denim bird shirt years ago and never did it. I've been feeling guilty all these years and decided to make her an appliqued bird quilt instead. I just finished a paint chip challenge quilt with paint ships the color of dark spruce & deep lilac. I got my inspiration from a picture I snapped of a camellia bush in full bloom and translated a blowup of one blossom into an applique quilt. I find inspiration everywhere, a sunset, a painting or even a rock. I find shapes and color both have an impact on my original designs. I find inspiration in colors outside. I love Autumn Color! What a cool name for your block! Puzzled Geese is exactly perfect! Last Christmas I made each of my 2 kids a quilt. I was sewing right up til Christmas Eve getting them done. My son had given me his favorite plaid shirt a while before, thinking I'd like to use the fabric. Well, I sure did just that and use squares of it to add to his quilt! It really looked like it was supposed to be in there! I love reading your post, and hearing you describe your inspiration. I live near the Mississippi River, and I get inspired by the way the water looks at different times of the year. I have always been fascinated by geese. I love watching the Canada geese migration and have wanted to make a flying geese quilt for many years. I do not know why I have not done it yet....but your block might be just the thing. I really like the four block arrangement with the red geese in the center. That would make a wonderful table topper I think. Congratulations! I think sometimes fabric can be my inspiration. I love French General and 3 Sisters. I've also made a couple of landscape quilt blocks which were inspired by family trips. I live one mile from a wildlife refuge and we have thousands of geese stop by our farm. I love the table topper design! I find inspiration everywhere! Books that I read, pets, architecture...endless inspiration! Flowers are always an Inspiration for choosing colors. I find inspiration everywhere. But find inspiration in nature too.